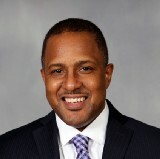 Rodney Goodie currently serves as Chief Executive Officer of the St. Hope Foundation, Inc. The president and CEO of St. Hope Foundation in Houston, Rodney Goodie seeks to reduce outcome disparities in urban and rural populations. To do so, Rodney Goodie and his team offer preventive care, treatment, and patient education in medical and dental health.